Ted and Deloris Hoekstra believe RVs are an excellent way for families to spend time together. “We took a family vacation every year with our family,” explained Ted. “We’ve traveled in every state except Oregon and Alaska.” Now they’re trying to provide other families with means to travel and spend time together. In September 1994, they opened Ted’s RV Land to sell new and used RVs. They sell new and used recreational vehicles and tent campers. Currently, they have 300 at their lot on Highway 55 across Hilltop, southeast of Paynesville. New ones are coming in daily, as the new lines are released for spring. The idea for the business started with the family’s interest in RV-ing. They had added a number of RVs on their farm. “I thought someday, if I ever had an opportunity, it’d sure be fun to sell some RVs,” Ted said, a retired farmer. “I’ve planned it for the last 20 years. My dream was to sell RVs,” he added. The business is a family affair, too. Ted and Deloris’ son Jerry is helping along with the business. Along with his sons Davis and Derek. It is a true 3 generational family business. To expand the inventory as he hopes, Ted will be actively buying new and used RVs. He searches for vehicles from other states like North Dakota, Wisconsin, Iowa and Illinois and Minnesota. “I’m always looking for used travel trailers and motor homes to buy,” said Ted. In 2005 TED’S RV LAND was awarded the #1 dealer for MONACO COACH CORPORATION. This award was for #1 overall customer delivery experience and overall customer satisfaction. With over 350 dealers worldwide this award shows how we care for the customer. We are very thankful to be able to help others make so many Camping memories. 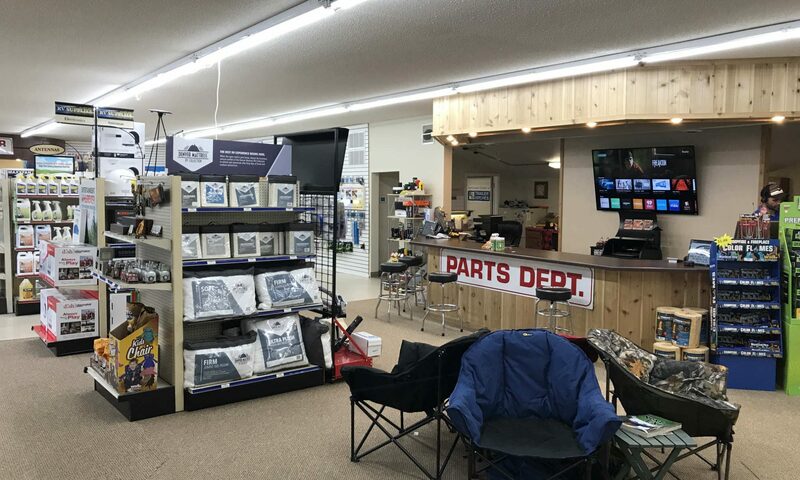 Ted Hoekstra, the founder of Ted’s RV Land, started the dealership in 1994 with a vision of being able to share the Camping Lifestyle that he enjoyed. We have since grown into one of the Largest RV Dealerships in Minnesota. From what was once a small operation we now have a staff of over 40 employees who are committed to helping bring the same passion for the Camping Lifestyle that we started with. Our third generation business is looking forward to many great years to come.